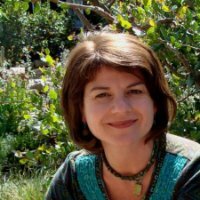 In 2013, Nan completed her Ph.D. in Cognitive Science at the University of California San Diego, focused on describing a cognitive ecosystem including multilingual children in a natural history museum. Her research interests focus on learning across the lifespan, drawing on themes of embodiment, social coordination, cultural models, and the consequences of design. At present, Nan directs San Diego’s Art of Science Learning Incubator for Innovation, funded by the National Science Foundation. In this role, she supports a multidisciplinary multigenerational binational learning community focused on creating new solutions to address a regional challenge: water scarcity. Prior to her current project, Nan worked in museums (art, natural history/ science) and other out-of-school settings (nature centers) doing design, development, and evaluation of exhibitions and activity-based learning programs.